We’re excited to celebrate 80 years of the Training Officers Consortium at our 2019 Annual Institute! We have lined up three amazing days full of important content and learning opportunities, thoughtful keynotes, networking with your peers, and fun with a purpose. Join us in Norfolk, VA to put an important capstone on your professional development journey. 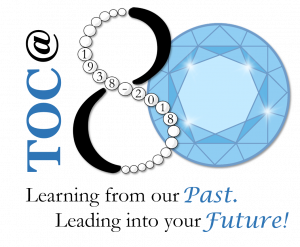 Even if you are a TOC Registrant, we still need you to register to attend the Annual Institute so we can book the hotel and make the meal arrangements for you. Remember that your TOC registration includes the cost of the Institute, room, meals, and our special event at the Nauticus museum on Sunday night. Don’t delay, register today!